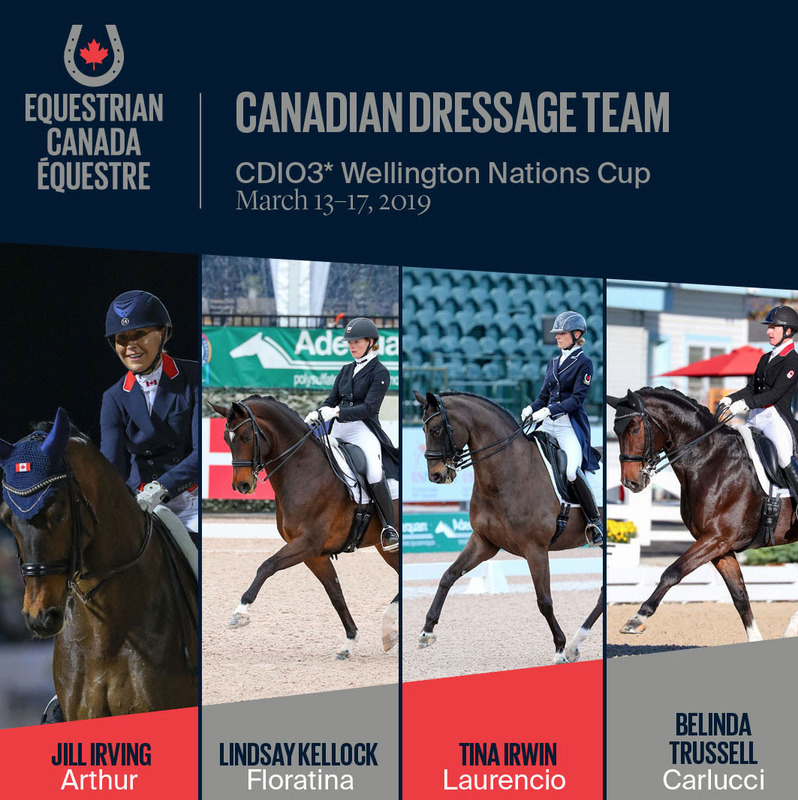 Equestrian Canada (EC) is pleased to announce the athletes who will represent the Canadian Dressage Team in the CDIO 3* and CDIO-U25 Nations Cup, taking place March 13-17, 2019, during the 10th week of the Adequan Global Dressage Festival (AGDF) in Wellington, FL. Both veteran and up-and-coming Canadian dressage athletes will compete against elite dressage athletes from around the world in a unique, team-based setting during the Nations Cup. First launched in 2017, the CDIO-U25 Nations Cup will return at AGDF 12, providing athletes under the age of 25 with the opportunity to gain valuable experience in the team format. Strasser-Shostak will also act as the reserve combination for Team Canada 1 with a second partner, Renaissance Tyme. Taking on the Chef d’Équipe role to support the Canadian teams on the ground will be Christine Peters, EC Senior Manager Dressage, Olympic/Paralympic Program. Canada has traditionally excelled in this event, bringing home silver in 2018, gold in 2017, silver in 2016, and fielding two teams in 2015 to claim silver and bronze. Canadians have also picked up seven individual medals since 2013, including gold for both Megan Lane and Tina Irwin, and silver for Jaimey Irwin in 2017. The Canadians earned team bronze during the inaugural CDIO-U25 Nations Cup in 2017, as well as in 2018, while Mathilde Blais-Tetreault claimed the 2017 individual gold medal. For more information on AGDF 10 and the Nations Cup, visit http://gdf.coth.com .